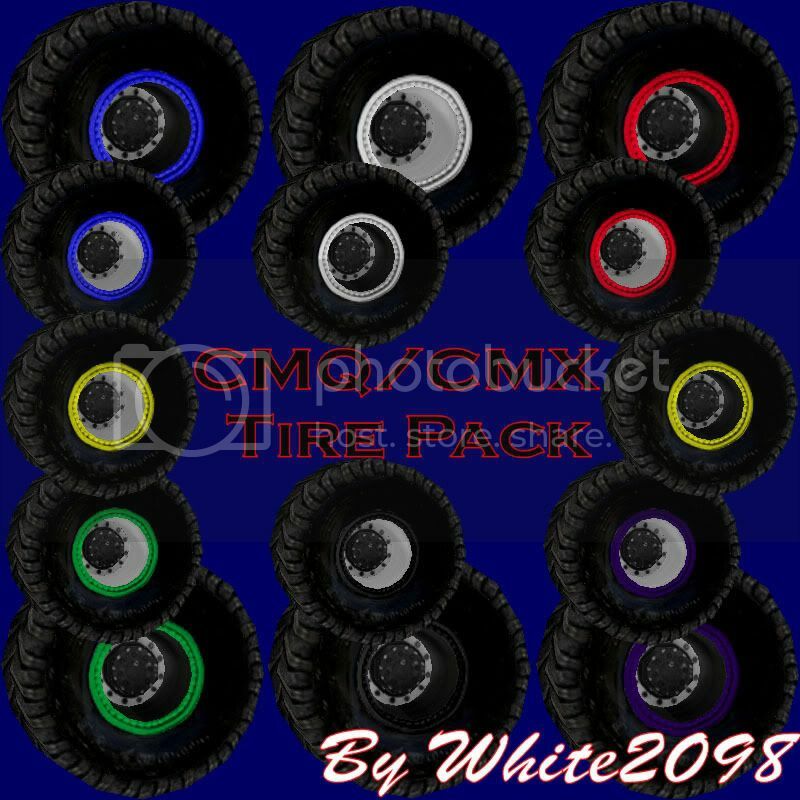 Here is my custom tire pack for all MTMers interested in using them. ready to install the second you put them in your MTM2 folders! want to replace the tread(or anything else) it's as easy and copy and paste. repeat the proccess with the models folder and start using them! credit in your truck credits file. Last edited by white2098 on Mon Jan 26, 2009 5:29 pm, edited 1 time in total. Dude, i don't know how you do it, but every tire you make is better than the last. These are just awesome man! Even better is you've got just about any truck covered with the different color beadlocks and rims. Just awesome man, great job! I've already used it on one of my trucks. I have a project I'm working on now, that involves your tires. They're going to be for most of my MJ projects in the future. Thanks dude. Yeah, I noticed that on the Destroyer truck, good stuff Good luck on the future work! Then just load it up in MTM2. If you don't understand this, IDK where to tell you to look. These are just tires? I should look more closely. I bet these would make a good stock upgrade/replacement set. Indeed they would, look really nice. I should try them out on all the stocks some time. Yes sir, very good idea! The texture is also on one pallet so modifying is very easy. 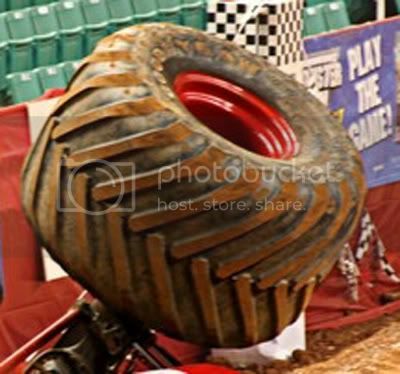 they look blocky, did stock tires look that blocky???? they look blocky, did stock tires look that blocky??? They're shaped differently than the stock tires. They have more texture detail so the modeling had to be changed around to fit the textures. The real main difference is the sidewalls. 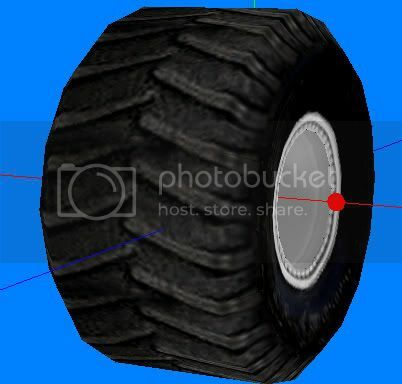 The stock tires don't have beadlocks so the sidewalls smother the tire and pop out more. 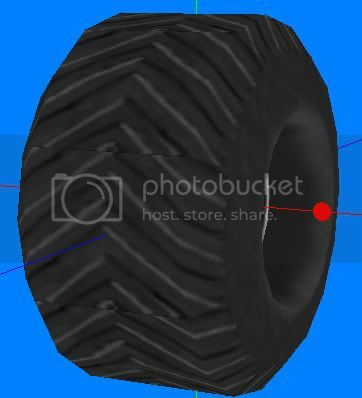 My tires have a lot more detail on the sides and the only way to prevent extra verts was to indent the sidewalls and make up for it by detailed texturing. And as you may have guessed by now MTM2 isn't exactly a model friendly game. Sometimes you have to just take what it gives you. I was gonna say the same thing, but I didn't have the time to say it.